With Minute Maid®, Summer Thrills could be just a moments away! 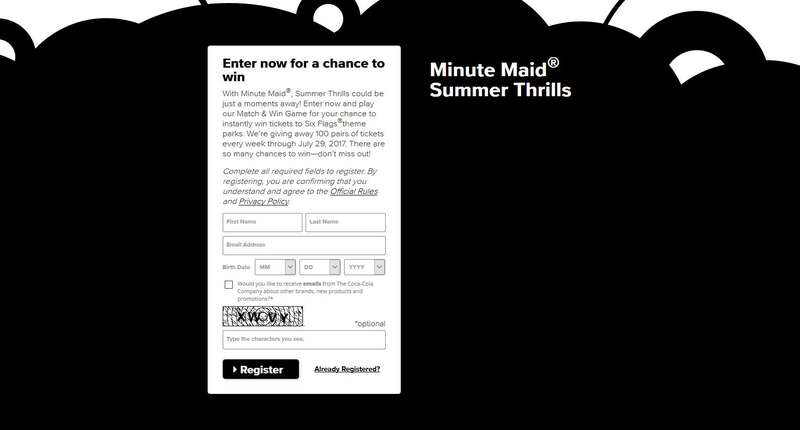 Enter now and play our Match & Win Game for your chance to instantly win tickets to Six Flags®theme parks. We’re giving away 100 pairs of tickets every week through July 29, 2017. There are so many chances to win—don’t miss out!